Before we stray too far from the topic of spider silk, BugFan Mike (a man who knows his spiders) sends this information: trap webs appeared considerably earlier than the figure that the BugLady found—spiders have been spinning them for 110 – 165 million years (scientists dated an orb web preserved in amber at 110 mya). Also, the current “nose count” for spider species is 45,883. Thanks, Mike. It turns out that spiders aren’t the only animals that make silk. In addition to the classic image of a moth caterpillar spinning a cocoon in which to complete its journey from egg to adult, the list of animals that make silk is a long one that even includes some vertebrates (GMO goats notwithstanding) (see last week’s BOTW The Wonders of Webs I). Once again, the topic is a huge one, so hang onto your hats for a whirlwind tour of the Who, What, When, How, and Why of insect silk-making. Who doesn’t? The ability to make silk is found someplace in most of the 26 (or so) insect orders. Larvae of many of the species of insects that have complete metamorphosis (egg-larva-pupa-adult)—like ants, wasps, bees, butterflies, moths, beetles, and flies—can make silk. Young fleas, lacewings, mayflies, thrips, some leafhoppers do it. Silverfish, and a family called “raspy crickets,” and a primitive little tropical order called Embioptera (web spinners) make silk as adults. Male centipedes (non-insect arthropods) deposit their eggs on a small pad of silk. Unlike spider silk, insect silk is usually (but not always) produced at the insect’s front end, in modified salivary glands in the labium (paired structures that form the floor of the mouth). Silk glands have also developed as secondary functions of other parts of the body. Some flies, plus members of the Embioptera form silk in dermal glands on their feet; the silk glands of some beetles and lacewings are associated with an excretory structure (Malpighian tubule) in their midgut; some silk glands are associated with the reproductive system, and silk glands of some cockroaches are at the base of their cerci (those spikey projections on the end of the abdomen). For a quick tutorial about insect glands, see: Insects – Glandular Systems. Like spider silk, insect silk is protein-based and protein-coated, but the basic protein building block (fibroin) and the molecular structures are different than the spiders. Where a spider produces different silks from different glands for different jobs, a silk-spinning insect can only spin a single kind of silk to apply to all jobs—but, there can be a good deal of variation in the properties and complexity of silk from group to group and even from genus to genus. The gel/silk dope made in the rear of the silk gland gets its coating in the middle of the gland and passes through a spinneret, becoming crystalline/solidifying when it hits the air. Silk threads from each of two paired silk glands can be fused as they are spun to make a stronger line. Based on the numbers of silk-makers and of the kinds of silk they make, entomologists feel that the ability to make silk evolved a number of times during the development of insects. Silk is “expensive” to make, energy-wise, so most practitioners only spin it during their voraciously-eating larval stage. To protect metamorphosing pupae—moth caterpillars construct silk cocoons (remember—most butterflies form a chrysalis simply by splitting their final larval skin), and so do young thrips, fleas, some beetles and flies, lacewings, the larvae of some Hymenoptera (ants/bees/wasps), etc. Hornet larvae create silk caps for their larval cells before they pupate and chew through them in order to emerge. Honeybee and bumblebee larvae strengthen the insides of their wax cells with silk. The Cecropia moth’s cocoon is a wondrous thing—spun from the outside-in, layers of silk with air pockets in between that act as insulation. Another silk moth, the Polyphemus, incorporates leaves into its silk cocoon. To make shedding their skins easier—many butterfly and moth caterpillars spin a secure “molting pad” to attach to while going through the gyrations of ecdysis (process of shedding the old skin). 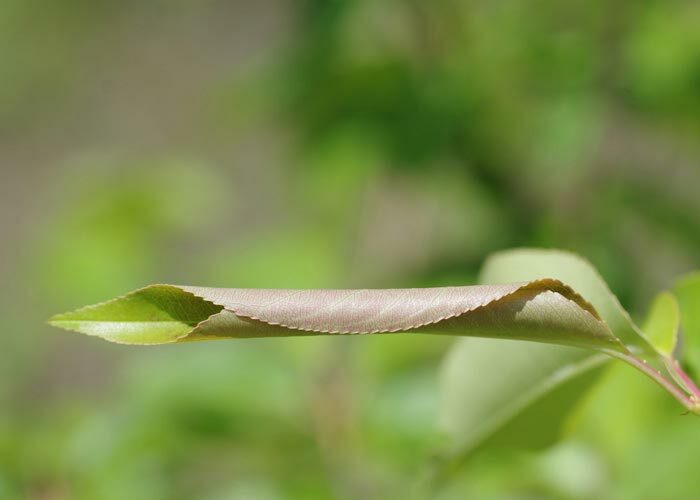 The tiger swallowtail caterpillar’s silk pad makes it easier to hang onto its leaf. 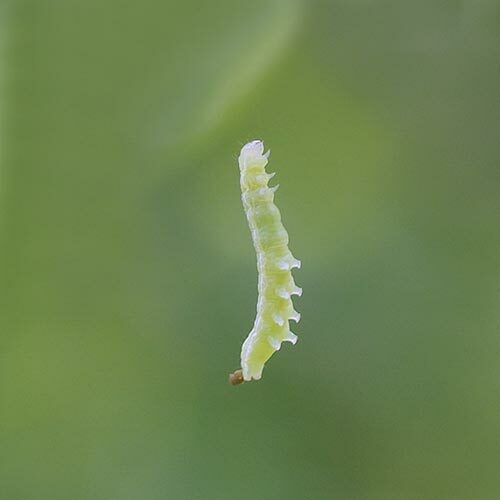 To disperse—like spiders, (tiny) Lepidopteran larvae (including, notoriously, gypsy moth caterpillars) balloon. For reproduction—male silverfish present a sperm packet on a small piece of web; males of some species of dance flies present a silk-wrapped courting gift to a female. Some kinds of aquatic beetles deposit their eggs on a raft of silk. Lacewings spin a filament and top it with an egg(s), and, click on all three images). 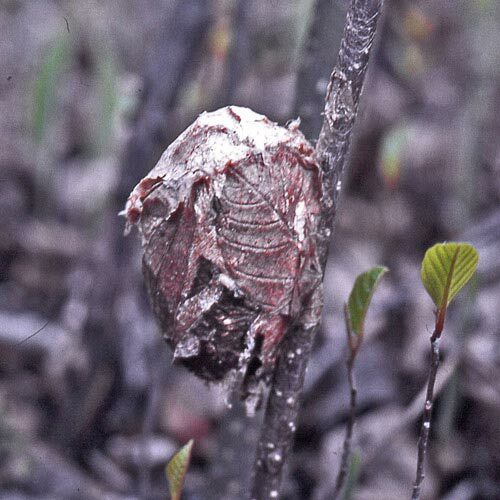 Ms. Mantis uses silk to form her egg case. To catch prey—the aquatic larvae of some caddisflies create webs on underwater rocks and let the current deliver their food; on land, fungus gnat larvae make sticky strands for food-catching. Caddisflies manage to spin their silk underwater, an ability that’s intrigued scientists for a long time. 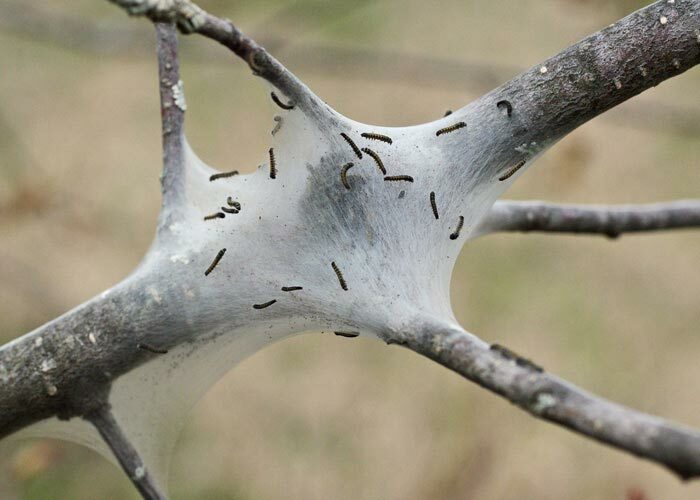 To hide/live in—tent caterpillars spin a communal home that they occupy when they’re not eating; fall webworms throw a web around a branch and feed on the leaves inside; leaf-rolling/raspy crickets web leaves together for shelter. 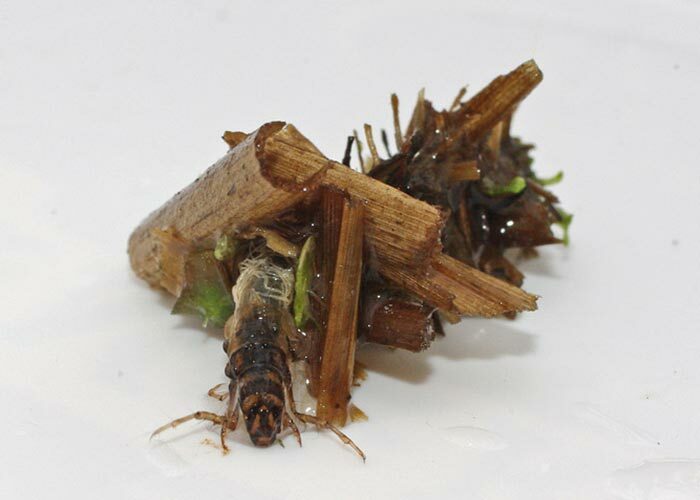 Caddisfly larvae have very soft abdomens—some use silk to fasten together tiny pieces of sand, stone or vegetation and drag their house around like a turtle; others spin nests on submerged rocks. 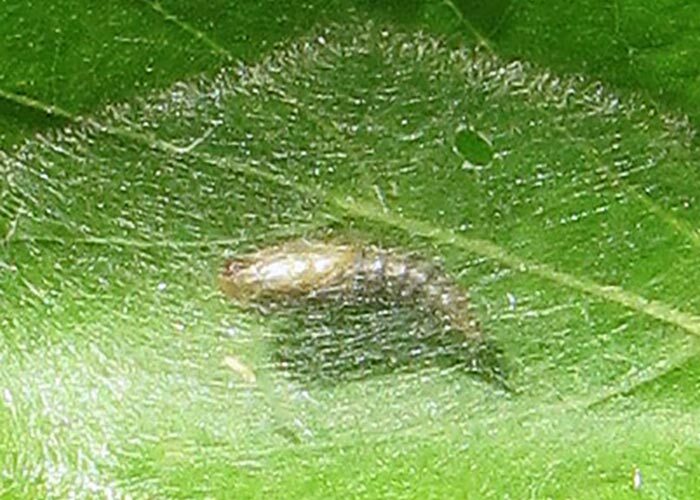 Aquatic larvae of midges and beetles may live in silken tunnels. For locomotion/orientation—many moth caterpillars (including tent caterpillars) leave behind a strand of silk (sometimes pheromone-laced) as they wander—a trail of breadcrumbs to get them from home to food source and back again. Black fly larvae resist the water current by moving along pathways of silk they attach to submerged rocks. 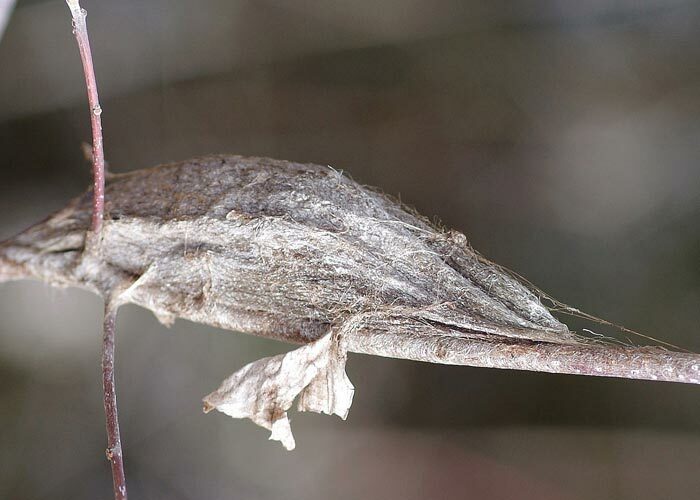 A home or cocoon may be made of silk only, or it may incorporate other materials like dirt, debris, or leaves. Hagfish are coated with a fiber-filled slime that deters predators according to the Wired‘s The Creature Feature: 10 Fun Facts About the Hagfish/. A Mediterranean seashell called the Fan mussel/Noble pen shell sticks itself to rocks with silk. Until the early 20th century these strands were harvested, stained with lemon juice, and woven into a much-prized material called sea silk. According to lore, a pair of woman’s gloves made of sea silk could be stored in half of a walnut shell. The most famous maker of silk and the gold standard against which other silk is measured is Bombyx mori, the domesticated silk worm from the Orient. There were wild silk worms, of course, but their silk was harder to harvest, “iffy” to dye, and frequently comprised of many short strands. The enhanced, domestic silk worm moth is a fat moth whose wings are vestigial and whose offspring spend their days being fed mulberry leaves. The processing of this silk has been going on in China for millennia (revealing the exact method of extracting silk was once a crime punishable by death). A mature (3”) caterpillar spins a cocoon of one continuous strand that may be 1,000 yards long. 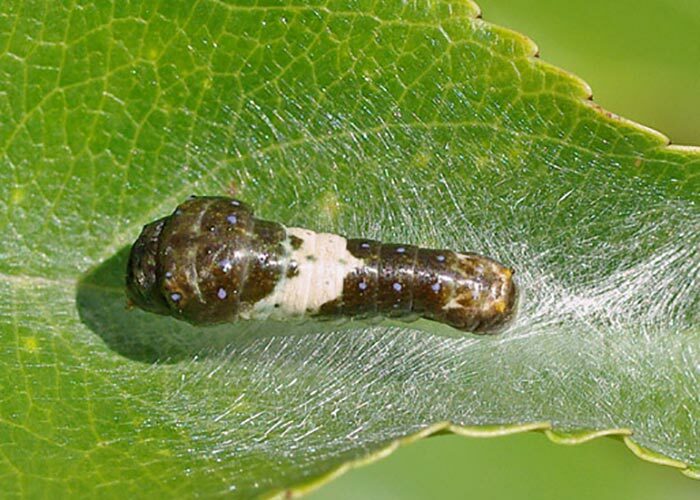 The pupa is killed by exposing it to steam or boiling water, and the cocoon is pre-soaked in hot, alkaline water before unraveling the silk.Silk worms were sent to the American Colonies by King James I in 1619 (we plugged away at it, but America was never a leader in the industry). Two-hundred-fifty years later, gypsy moths were brought to America from Europe in hopes of rejuvenating the silk business. Some escaped, and the rest is history (for a scenic side trip, check this animated map of the gypsy moth invasion. Brave New Silk—Silk can be pre-dyed by feeding food-coloring to the larvae. One commercial/promotional site touts insect silk as the fiber of the future and says that they have devised a way to extract bee silk from the walls of wax cells. Like the GMO goats, silk worms have also been recipients of spider DNA to make their silk bigger-better-stronger. A starry-eyed article talks about the products these enhanced silks might be made into.